Keeping up with the latest releases, concerts and news from your favorite artists has never been so easy. With MusicHarbor you can follow artists closely and be the first to know about new albums, singles, EP's, concerts and news. A new app for customers to open a digital checking account on OMNI bank. An app created to manage and sign PDF documents. Really Simple Finance was designed to help people keep track of incomes and expenses the easiest way possible. The idea is to add transactions with only a date, description and amount. You can always see a summary on top. There's also a Today View Widget. Keep track of new videos from your YouTube subscriptions and save them to watch later. Also, get your feed back to chronological order! 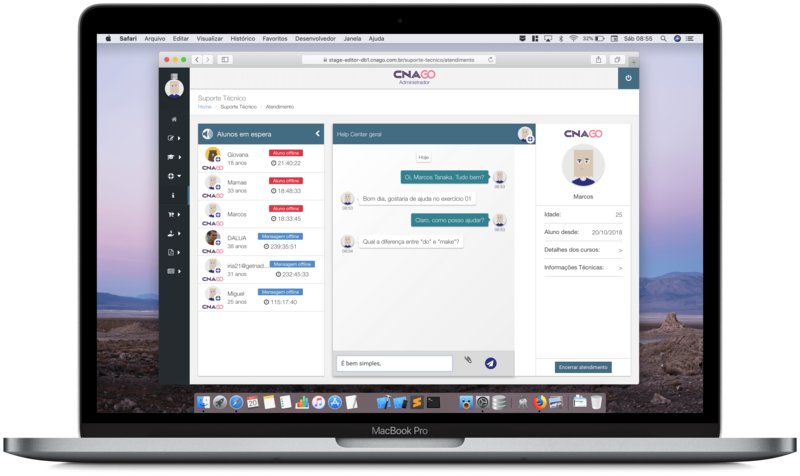 On this project I was responsible for building the backend of a chat module for an online language-learning platform.